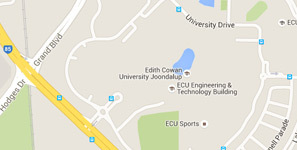 ECU uses the terms ‘Indigenous Australian’ and ‘Aboriginal and Torres Strait Islander’ throughout this site. This refers to people who identify as Aboriginal or Torres Strait Islander, or both, and are accepted as such by the community with which they associate. ECU’s Indigenous Australian graduates are from a range of disciplines with each one being a trailblazer. As an alumnus, ECU can provide career support, networking opportunities and benefits beyond graduation. To sign up, please visit our Alumni web pages. ECU offer dedicated support services to explore and secure employment and career opportunities for Aboriginal and Torres Strait Islander people with ECU. For more information about career pathways, visit our Future Staff web page. ECU offers a large selection of courses and disciplines across our study areas, with the right balance of practical knowledge and academic excellence. To browse through our courses, head over to the Future Students website. ECU provides support and specialised entry pathways for Indigenous Australian people looking to engage in higher education studies. Kurongkurl Katitjin, ECU’s Centre for Indigenous Australian Education and Research has a central role in assisting the University to meet its commitment to Indigenous Australians. The Pro-Vice-Chancellor (Equity and Indigenous) is a senior leadership position on ECU’s Executive team, currently held by Nyungar man Professor Braden Hill. ECU has a number of scholarships available to help Indigenous students with their study costs. Visit our Scholarships web page for the full list of available scholarships.